Last night, I wandered down to Limehouse and enjoyed a quiet supper of haddock & chips at The Grapes on the river. On this beautiful Summer’s evening the place was pleasantly empty, on account of the lack of a television set on the night of the commencement of the World Cup. I was woken at four thirty by the chorus of birds in Spitalfields and, before seven, my neighbour and I strolled up the road to the flower market in the sunlight and breeze of the morning – where we found the place similarly deserted. I can only assume that many drowned their sorrows after the match last night and are feeling the effects today. We bought a tray of Tobacco Plants (Nicotiana), eight plants for a fiver, to share between our gardens. 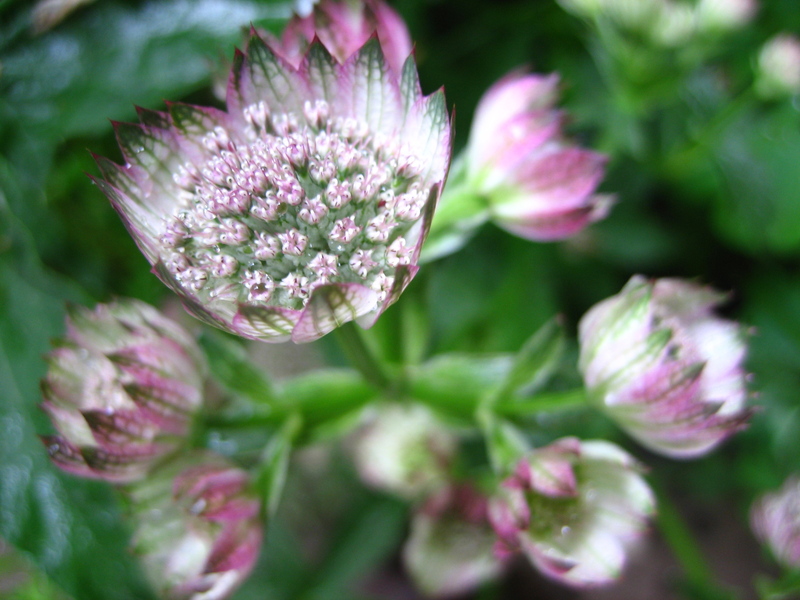 For myself, I bought a Scabious for £5, and another Astrantia (Major) for £6 my collection. 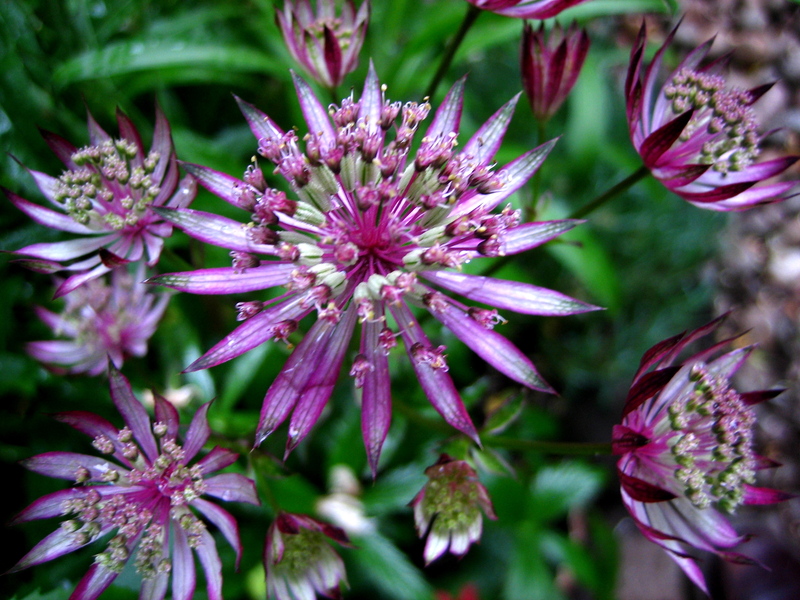 Although I already have several Astrantia Major, the plant I bought today was distinctly different. I must admit to a growing fascination with the subtle detail and variety of these starry flowers which draw the eye with their exquisite detail. All the roses of East London are in bloom now, and everywhere I walk around the territory I come across extravagant fragrant displays, from Spitalfields to Limehouse. 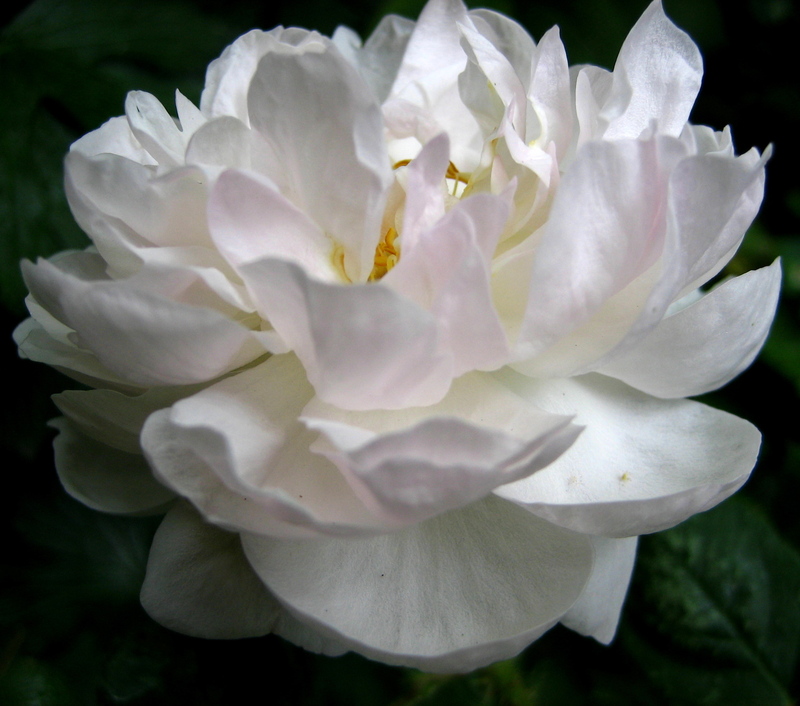 In my garden, this old moss rose, Alfred de Dalmas (a variety of 1855) has come into flower. With its multiple layers of petals and sherbet scent, it resembles some fancy confection, conjured out of meringue by a pastry chef.